almotamar.net google - Harry Osborn's insanity drives him the edge and transforms him into the Green Goblin. In an effort to destroy Peter Parker he hires Flint Marko to aid him in his quest. Meanwhile Peter must balance his relationship with Mary Jane and the arrival of a new love interest, Gwen Stacy. The final showdown then pits former best friends against each other as a new villain looms on the horizon. 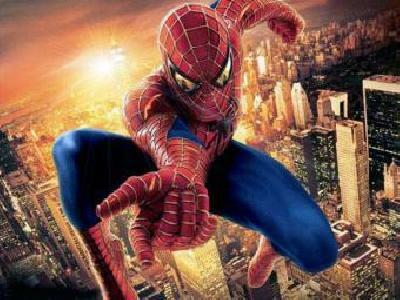 People are making a fuss because ‘Spider-Man 3’ will open in China May 3rd, a day before the so-called “day-and-date” release of the blockbuster franchise. But truth be told, Spidey opens in most international territories several days before its May 4 USA-UK release. Austria, Belgium, France, Germany, Hong Kong, Italy, Japan, Netherlands, Philippines, Singapore will open the film on May 1st, while Thailand will see the earliest screening on April 30th at the opening of the SF Cinema City Central World Theater – the new flagship location of the circuit. Because of time differences, Thailand just beats out the US preem of the movie on April 30th at the New York based Tribecca Film Festival which will be one of several events in NY celebrating Spider-Man week. Back to China where the film will release just before the country’s blackout period, where foreign films generally are withheld to allow domestic pics equal footing, Sony China will release pic on the highest number of screens ever for a foreign film in China. Now, ‘Casino Royale’ holds the record of 470 screens in China but reports are forecasting a Spidey opening on over 500 screens. Increasingly, Hollywood studios are choosing to open anticipated blockbuster films internationally on or near their worldwide premiere dates to thwart piracy efforts.